Manipal University Jaipur (MUJ) was established in the year 2011 at Dehmi Kalan village near Jaipur and is by far one of the best campuses in the region. 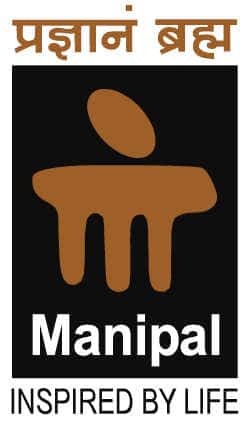 Manipal University Jaipur (MUJ) is a separate university under Manipal Group has a separate admission process from Manipal University Karnataka except for B.Tech. This page provides the complete information on eligibility, application process, exam pattern, selection process, scholarship, placements etc. The multidisciplinary university offers career-oriented courses at all levels, i.e., UG, PG and Doctoral and across diverse streams, including Engineering, Architecture, Planning, Fashion Design, Hospitality, Allied Health Sciences, Humanities, Commerce, Management, Communication, Basic Sciences, Fashion Design and Jewellery Management, etc. This is the list of undergraduate courses offered by Manipal University Jaipur. Admission to B.Tech Programs is through MU OET 2018. Entry to relevant B Tech Programmes. The candidate must have passed one of the following courses with a minimum of 50% marks in aggregate. The candidate must have passed the 10+2 exam with Mathematics as a subject with minimum 50% aggregate in any group. International Baccalaureate Diploma after 10 Years of Schooling, with not less than 50% marks in aggregate. The admission in the B.Tech programme in all the specialisation is done on the basis of MU OET and the admissions in B.Arch Programmes are done on the basis of NATA. The admission in other programmes is done on the basis of marks obtained in qualifying exam. MU OET: Manipal University Online Entrance Test (MU OET) is a university-level undergraduate engineering entrance exam conducted by Manipal University every year for admission to its undergraduate engineering courses. NATA: NATA is National Aptitude Test in Architecture and is a National Level Architecture exam conducted by National Institute of Advanced Studies in Architecture (NIASA) to select the students for 5 years B.Arch Course in various colleges across India. The application fee is mandatory for all the Indian candidates and for some selected programme there is an entrance exam fee. The candidates can see the table below to know the entrance fee for the programme. The admission in other undergraduate programmes is done on the basis of marks obtained in the qualifying examination. The shortlisted candidates will be called for counselling process and all the candidates are will have to produce the original and two sets of the photocopies of the documents at the time of counselling which is mentioned below. Conduct and Character certificate to be obtained on the School/College letter head/pad. Transfer Certificate or School/College Leaving Certificate issued by the School/college. MU OET 2018 question paper will be in the English language based on 10+2 syllabus followed by major 10+2 Boards/Universities. Each question having four responses labelled as A, B, C and D out of the four responses candidate have to choose the correct and most appropriate answer. Each question carries one mark and each correct answer will be awarded one mark. NATA 2018 Exam is in English Languages and is divided into two parts that are the Drawing Teats and Aesthetic Sensitivity Test. The Drawing Test is a 2 hours duration paper where the candidate has to attempt three questions. It is a computer based test where the candidate has to answer 40 multiple choice questions. There is no negative marking in this section. Time allotted to answer each question is between 90 seconds depending on the type of question. This section is computer adaptive, meaning that the computer selects questions based on the candidate's performance on preceding questions. When a correct answer is given, next question will be of higher difficulty level whereas, if the wrong answer is given next question is of lower difficulty level. There are many more scholarships awarded to the meritious students by the Manipal University Jaipur. Candidates can find the complete information on the scholarship on the official website of Manipal University Jaipur. Scholarships will be offered to meritorious candidates who take admission under Lateral Entry (Diploma) / Transfer category. The candidates who have secured 60% or 6.0 CGPA without any backlogs will be awarded the scholarship. 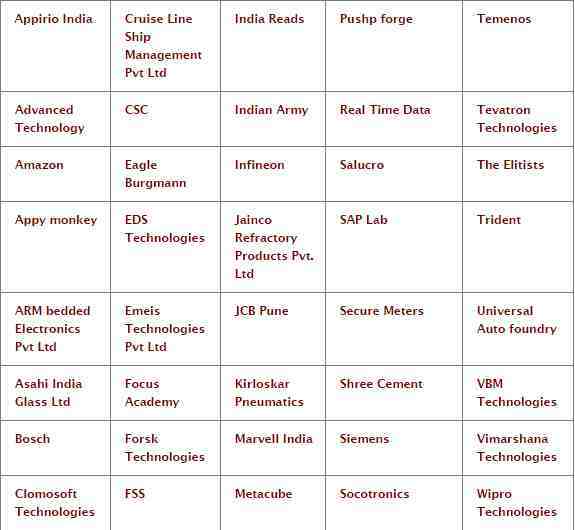 The list of some of the recruiting companies is given below.